As a key member of the Australian Technology Network, Curtin has achieved tremendous progress to become a world class research intensive university over the next twenty years. In the 2011 Excellence in Research Australia (ERA) results, Curtin’s research performance has achieved world standard or higher rankings in 20 discipline groups. At Curtin Sarawak, we have a thriving community of research staff and students, engaged in research areas across science and engineering, social sciences and business. 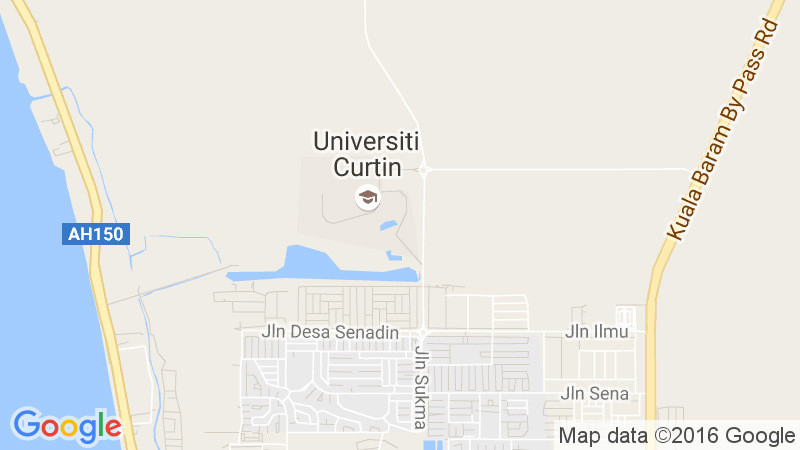 As a branch campus of Curtin University, Curtin Sarawak offers the same degrees as the main campus in Perth, Australia. Higher degree by research (HDR) programs at Curtin Sarawak lead to the qualifications of Master of Philosophy (MPhil) or Doctor of Philosophy (PhD). Completion of a particular degree program requires substantial original contribution to the knowledge or understanding of a field of study and demonstration of the capacity of the candidate to conceive, design and carry to completion independent research. For the award of PhD qualification, the candidate should also have uncovered new knowledge either by the discovery of new facts, the formulation of theories or the innovative re-interpretation of known data and established ideas. For admission to an MPhil program, an applicant is expected to hold or qualify for the award of degree of Bachelor with First Class Honours or Second Class Honours (or equivalent) from a recognised academic institution. For admission to a PhD program, an applicant is expected to hold or qualify for the award of the degree of Master by Research (or equivalent) or to hold or qualify for the award of the degree of Bachelor with First Class Honours or Upper Second Class Honours (or equivalent) from a recognised academic institution. Those holding a Bachelor Pass degree may also be considered for admission, provided they can demonstrate superior academic achievement, significant work experience and the capacity to undertake significant research. A candidate may enrol in a postgraduate degree either full-time or part-time. Enrolment in the MPhil degree shall be for a minimum period of one year and a maximum period of two year or equivalent full-time study. Enrolment in the PhD degree shall be for a minimum period of two years and a maximum period of four years of equivalent full-time study. Successfully enrolled MPhil or PhD candidates are eligible for RM 1500 to RM2000/year of financial support for consumables and fieldwork related spending. Those candidates who have successfully achieved their candidacy may also have the opportunity to attend specialized research training seminars, professorial training workshops, national or international conference supported by the University. In addition, each PhD candidate is entitled to around RM6000 of financial support to attend national or international conference. Limited scholarships are available under the Curtin Sarawak Postgraduate Research Scheme. An awardee will currently receive a stipend of RM2000 per month for a period of 3 years during which their tuition fees will also be waived. In return, awardees are expected to contribute a minimum of 8 hours per week towards teaching activities during semesters. Applicants can nominate to be considered for a scholarship in their applications. Please note that the latter is only possible if a scholarship round is active during the application. The possibility of scholarships will be made known during discussions with a potential supervisor. Curtin offers a wide range of services and support to accommodate all your everyday and extracurricular needs, as embracing the experience of university life is just as important as the degree itself. Services and facilities include food outlets, surau, sports and recreational, computer laboratories and on-campus accommodation. All MPhil and PhD candidates enrolled to study at Curtin Sarawak automatically have full online access to research supporting resources (including international journals, conference proceedings, e-books etc) provided by the parent campus in Perth, Australia.